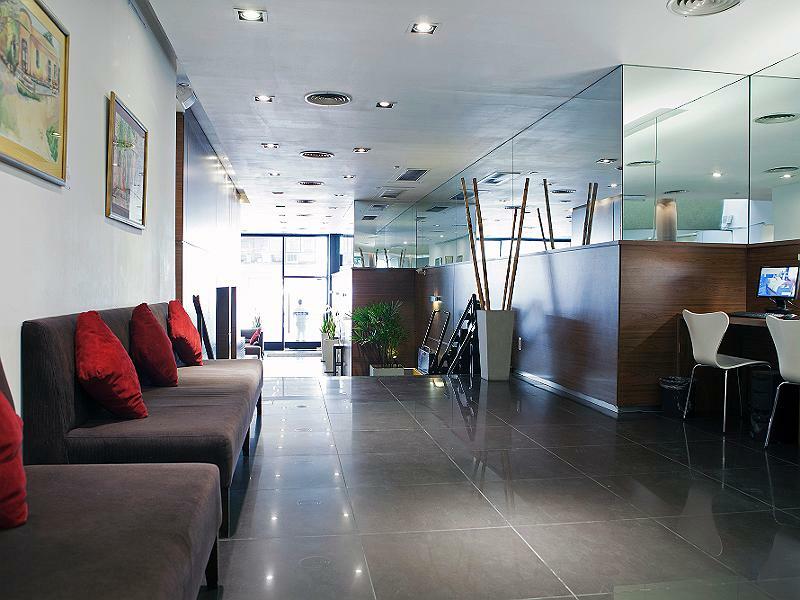 Maipu Dazzler is located in the downtown area of ​​Buenos Aires 200 meters from Florida Street, 620 meters from Puerto Madero, 800 of the Teatro Colon and the Obelisk 1km. 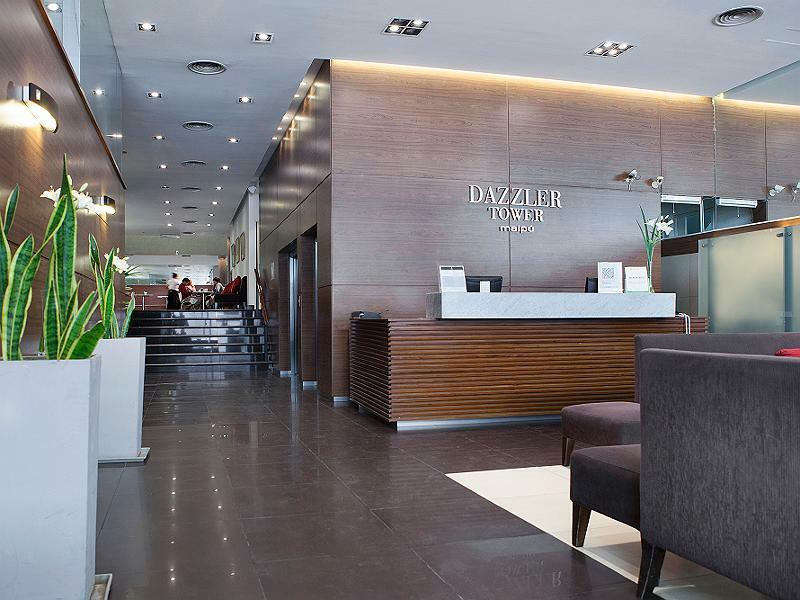 The Dazzler Maipú hotel has first class facilities and service, complemented by human and professional qualities of the members of his staff. 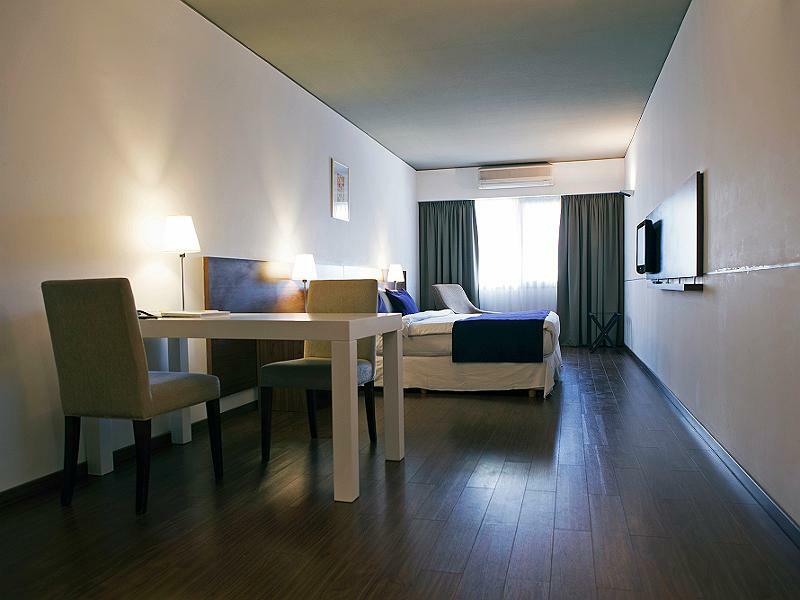 It has a sleek design and offers urban-style rooms with air conditioning and flat-screen cable TV. There is also a massage service. 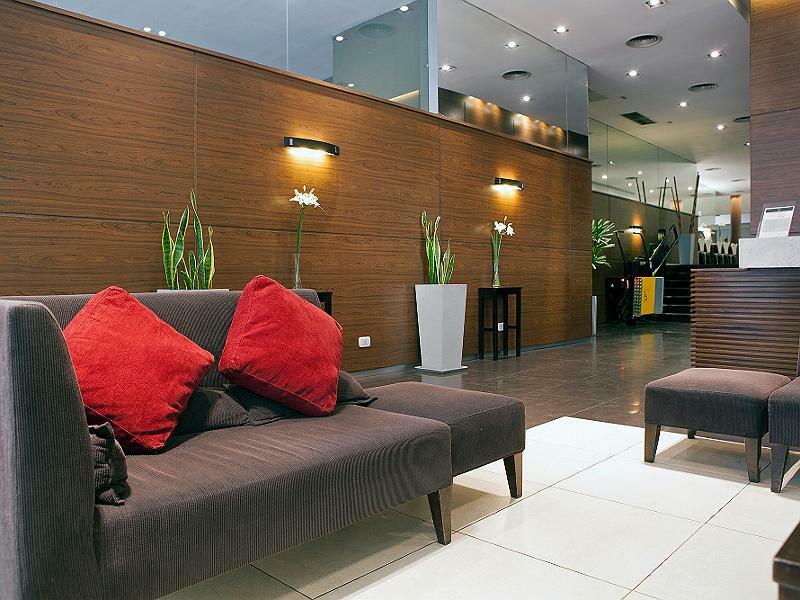 The dining room of the hotel Dazzler Maipú, located on the ground floor of the hotel is perfect for business lunches or cocktails unique place. 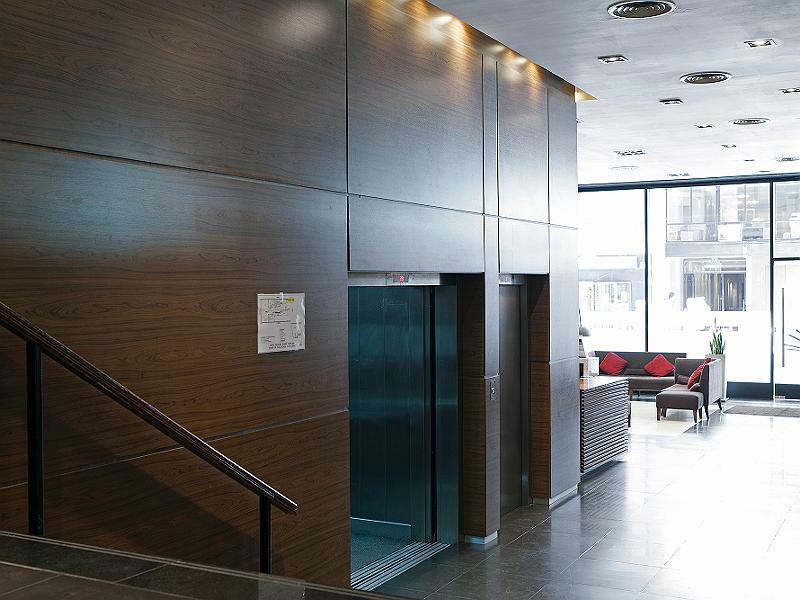 Its light and airy living room make this a modern and extremely versatile space for your events. The lounge has 114m2 and has a capacity for 120 people in cocktail armed. It has spaces and a bright, modern breakfast plus spacious and comfortable. 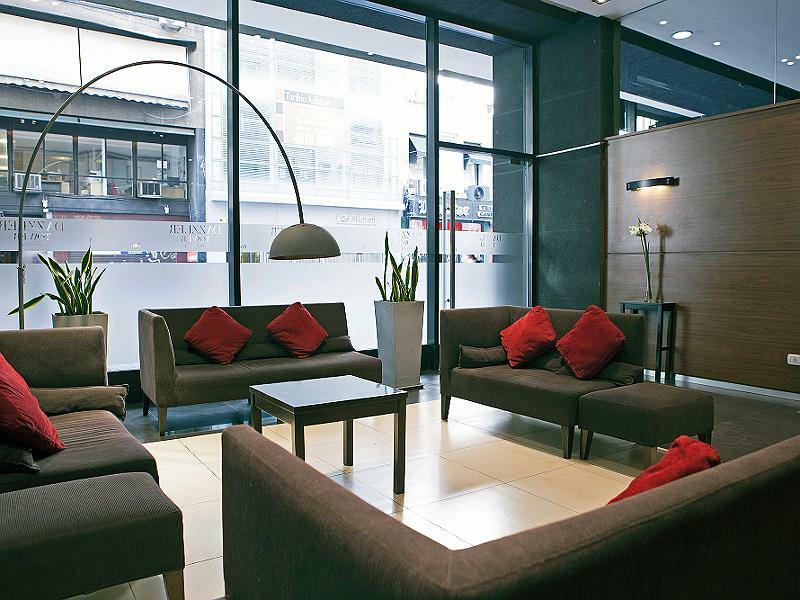 There is a spacious and bright lobby with tan sofas, dark wood furniture and modern metal lamps. Computers for guest use. 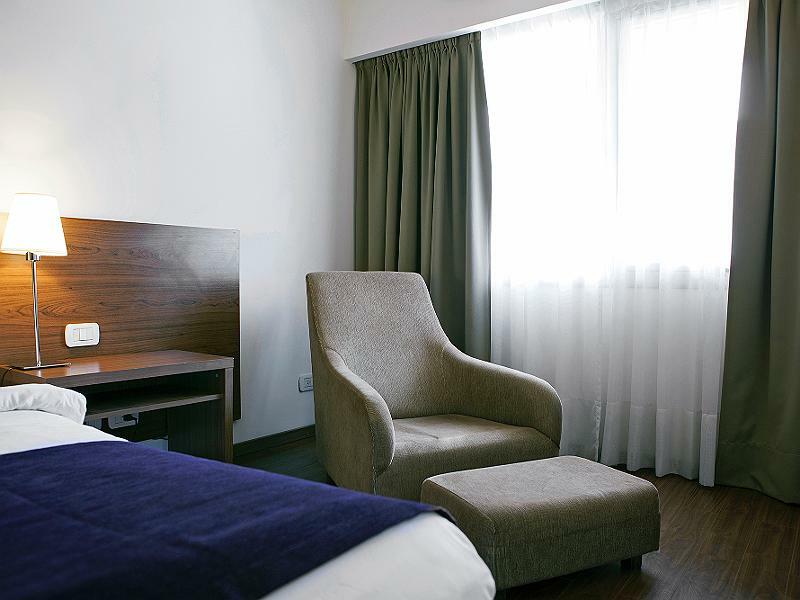 The rooms have parquet floors, desk and floor to ceiling curtains in ocher and burnished. 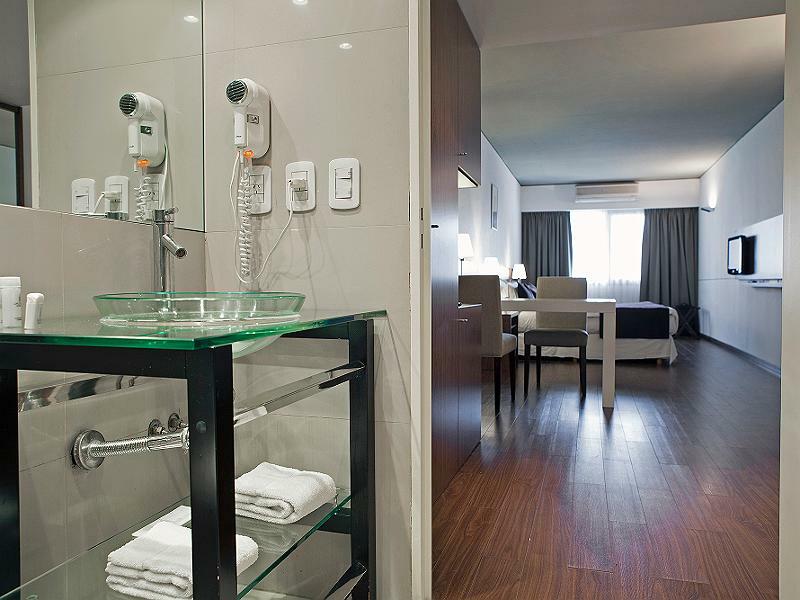 The bathrooms are modern and have a bath. Laundry service is also available. An American breakfast is served daily with croissants and seasonal fruits. 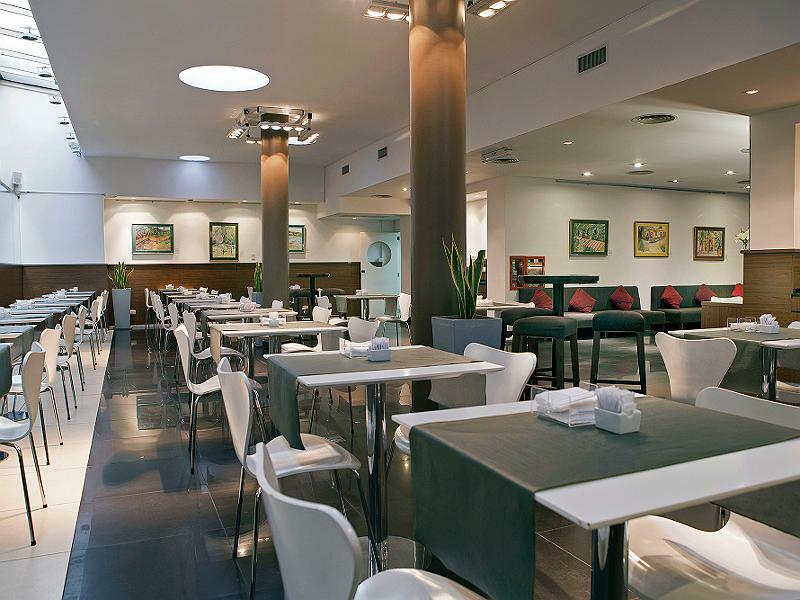 The breakfast area is decorated with white chairs and tables design and tiled brown. 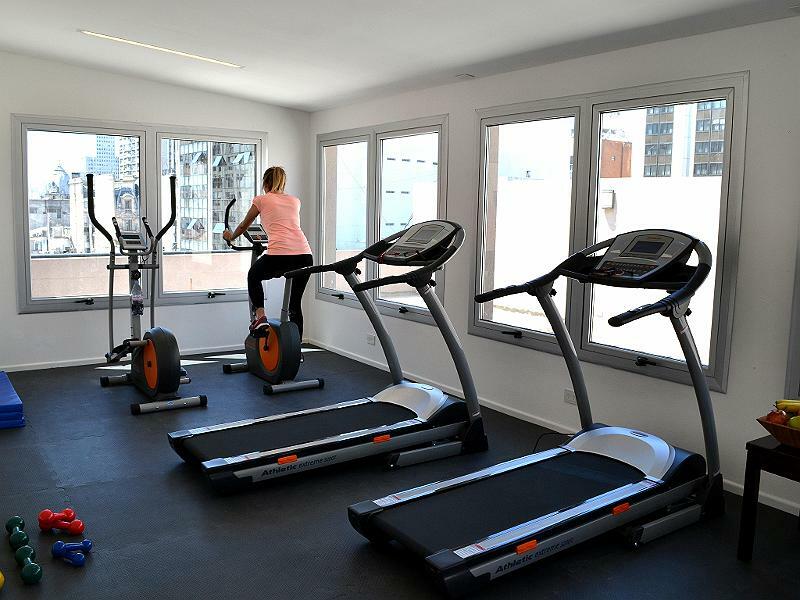 Amenities include 24 hour reception, business center, gym and laundry. 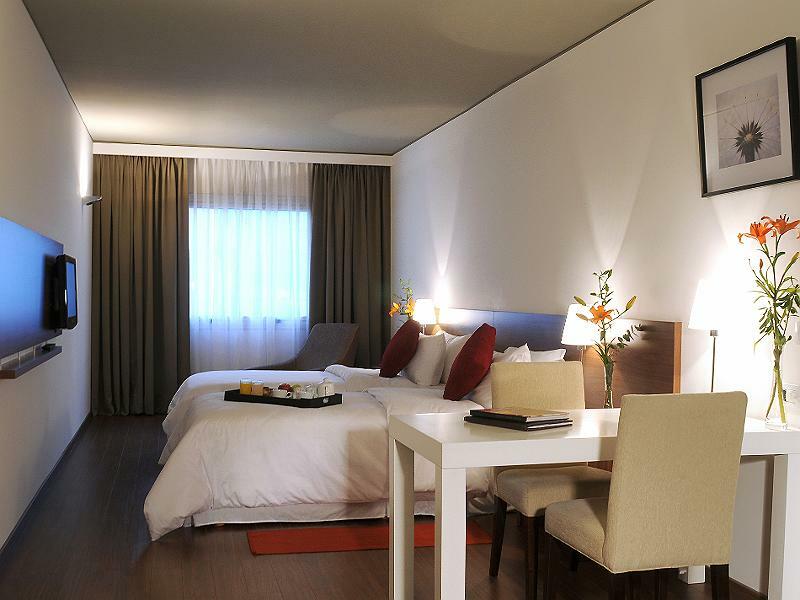 Maipú Dazzler has 90 modern, spacious and bright rooms.